On Tuesday evening (24th of January), Cardiff City football club won their semi-final of the League Cup (currently called the Carling Cup), beating Crystal Palace in a penalty shoot-out, after drawing 1-1 on aggregate after extra time. This puts them through to the final, where they will meet Liverpool, who beat Manchester City last night. Amazingly, this will be Cardiff City’s fourth trip to Wembley Stadium, the home of English football, in 4 years. In 2008 they reached the final of the FA Cup, but were beaten by Portsmouth 1-0 (they beat Barnsley in the semi final which was also played there). In the 2009/10 season they reached the Football League Championship play-off final to gain the 3rd place promotion to the Premier League, but were beaten by Blackpool 3-2. I only live about 2km from the new Cardiff City Stadium, and when Crystal Palace missed their penalty on Tuesday evening, I could hear the roar from the crowd. I am pleased for Cardiff City, as they have had a heartbreaking string of near misses over the last several seasons. In the 2008/09 season, they failed to make the play-offs for promotion to the Premier League by the narrowest of margins, only being placed below Preston on goals scored during the season, as even their goal difference was the same. In the 2009/10 season, as mentioned above, their lost in the play-off final at Wembley to Blackpool, and in the 2010/11 season (last season), they again made the play-offs, but lost to Reading on aggregate in the 1st round of the play-offs. They have also had to see their fiercest rivals, Swansea City, gain promotion to the Premier League last season. Although I grew up supporting Chelsea, as I now live in Cardiff I also support my local club, and my teenage son has a season ticket so goes to most Cardiff City home games. The final of the League Cup is on the 26th of February, and Liverpool will be an interesting opposition. Until 2009, Liverpool were the most successful English football club in history, having won the old first division a record 18 times. This record was equalled and then surpassed by Manchester United in the 2008/09 and 2010/11 seasons. Liverpool have still won the European Cup more times than any other English (or British) football club, 5 times. Amazingly, they have not been to Wembley to play a final since 1996. Given Cardiff City’s recent years of close misses, I am hopefully they can upset the expectations and beat Liverpool in a month’s time, and win their first major trophy since they won the FA Cup in 1927. We shall see. On Friday (20th of January) I was called by the BBC in Cardiff to ask me if I would talk about the success of the 2nd series of Stargazing Live (this is a link to the interview, I’m on about 25 minutes into it), and also to summarise the events going on in the Wales National Museum in Cardiff on the Saturday. Yesterday I became aware, through Nick Howes (@NickAstronomer on Twitter), of a twitter “storm” going on between fans of Stargazing Live and the Daily Mirror TV critic Kevin O’Sullivan (@TVKev on Twitter) due to this article, in which he criticised Stargazing Live. Then, this morning I got another call from the BBC, this time asking me to talk tomorrow about an article by Jim Shelley in yesterday’s (Monday 23rd January) Daily Mirror. In this article Jim Shelley lists the Top 25 things he learned from the series. The BBC asked me to choose 10 to talk about tomorrow, and to talk in more detail about 4 of them. I am delighted that the BBC Stargazing Live series has been such a success. Although Brian Cox comes in for quite a bit of criticism these days, I think one should interpret that as a mark of his impact and success. I have never been a fan of Patrick Moore, even when I was a teenager I found him irritating, and now I find him more so. Brian Cox has an easy, down to earth, unpretentious way of explaining things. Some of his basic astronomy mistakes frustrate me, but then again he’s never done a course in astronomy or astrophysics, so considering this he does a very good job. One shouldn’t underestimate the impact a good TV programme or series can make. 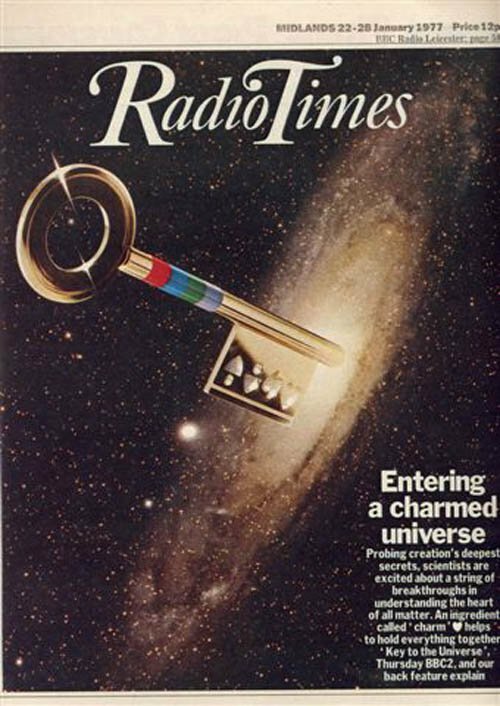 My own lifelong passion with astronomy and cosmology was ignited by a BBC Horizon programme I saw in January 1977 called “The key to the Universe”. I vividly remember, as I watched this 50 or 60 minutes of TV, a realisation that I wanted to study this fascinating subject. 32 years on, the subject still keeps me awake at night with wonder and excitement, and I feel very lucky to be paid to do something I’d gladly do for free. So why did Kevin O’Sullivan have such a go at BBC Stargazing live? My own interpretation of his article, which his subsequent comments on Twitter seem to confirm, is that he was being deliberately provocative. I am in no position to comment on whether this is good or bad journalism, but it is certainly something I do on occasion – make deliberately provocative or outrageous statements to elicit reactions. Judging by the flood of traffic on Twitter about his article, @TVKev certainly did provoke considerable reaction. In an age of multi-channel TV, there should be room for both the most highbrow and lowbrow TV. I enjoy, from time to time, watching the most mindless TV like Celebrity Big Brother or Snog, Marry, Avoid (that one with my daughters), I don’t spend all my time solving the equations of General Relativity or watching science documentaries. That the BBC Stargazing Live series got 4-5 million people tuning in on BBC2 is a remarkable achievement. The fact that some of them may have been teenage girls with a crush on Brian Cox is irrelevant, but yet another reason he’s preferable to Patrick Moore. Many academics make fun of those of us who try and engage the public in our subject. I do it because (a) I enjoy sharing something I find interesting with as wide an audience as possible and (b) I haven’t forgotten the TV programme that first got me interested in understanding the Universe. Which 4 would you have chosen? Today (23rd of January 2012) is Chinese New Year, so happy Chinese New Year to all my Chinese friends and students. 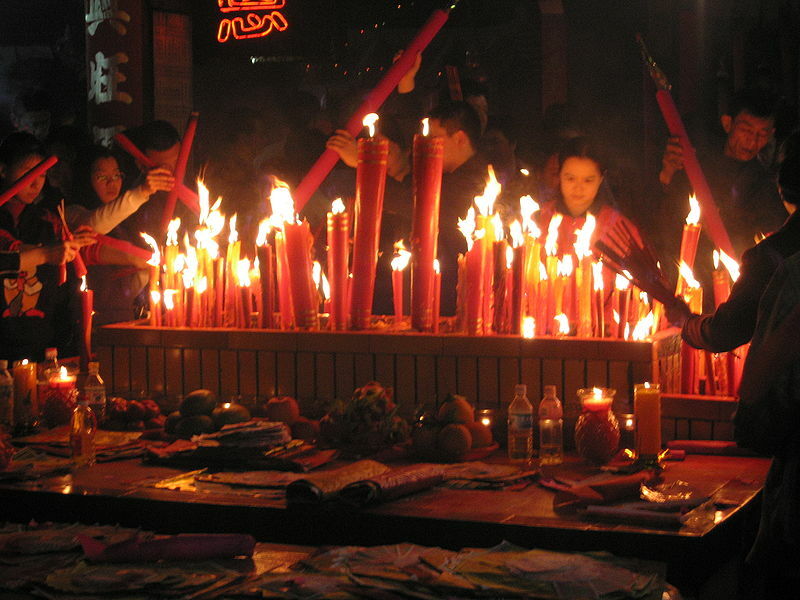 Today, over 1 billion Chinese will be celebrating the start of the year of the Dragon (龍). From what I heard yesterday on the radio, many Chinese couples await to have children in the year of the Dragon, as this year is thought to be the most lucky of the cycle of 12 animals. Last year (2011), Chinese New Year was on the 3rd of February, and next year (2013) it will be on the 10th of February. The table below shows the dates of Chinese New Year from 2009 to 2014. Clearly, Chinese New Year does not fall each year on the same date in the civil calendar. So, how is it calculated? The Chinese calendar is an example of a lunisolar calendar, which means it depends on both the Moon (Luna) and the Sun (Solar). The same is true of the traditional Jewish calendar, and the calendars of many other civilisations and religions including Hindu, Tibetan and Buddhist calendars. The date of the Chinese New Year is determined by the following, very simple, formula. The date of the Chinese New Year is the day of the 2nd New Moon after the Winter Solstice (the shortest day of the year in the Northern Hemisphere). This fixes it between the 21st of January (the earliest it can be, which would occur if there were a New Moon on the day after the Winter Solstice), and the 20th of February, which would occur if there were a New Moon on the day of the Winter Solstice. So, it is that simple. Today (23rd of January) is a New Moon, and the previous New Moon (the first after the Winter Solstice) was on the 24th of December, with the Winter Solstice itself falling on 22nd of December in 2011. Next year, 2013, the first New Moon after the Winter Solstice will be on the 11th of January, the 2nd one will be on the 10th of February, so this will be the date of the Chinese New Year in 2013.